Hello everyone! 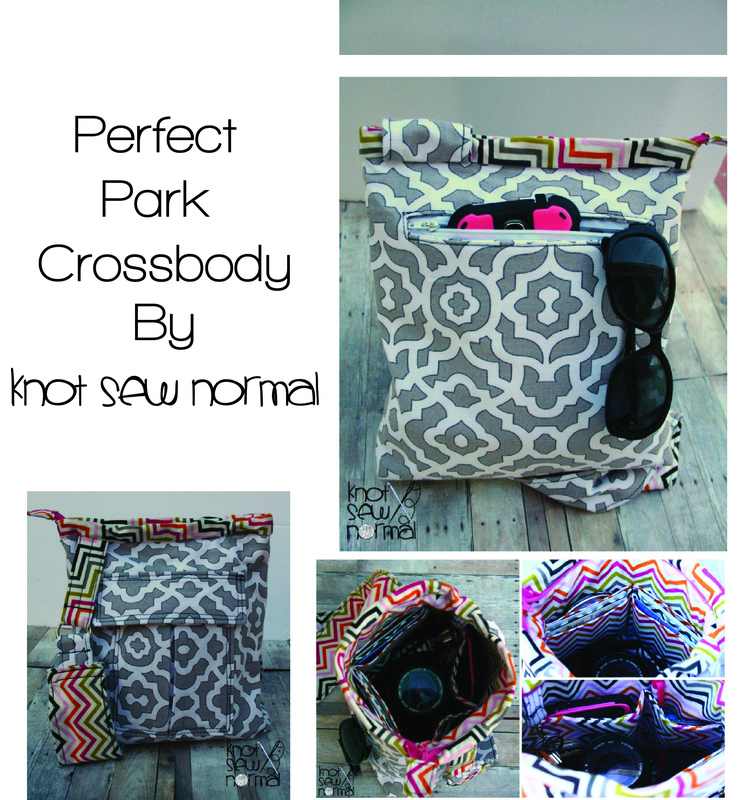 I am Jonie the mastermind behind Knot Sew Normal. I am so excited to be a part of the Aspiring Designer Challenge. This was just the motivation I needed to get this pattern finished up. I don't know about you all, but sometimes I start on a project and it falls to the wayside when more interesting or important things come up. This is the 3rd pattern for Knot Sew Normal and I still can't get over the excitement of seeing other's creations that come from my pattern designs. I designed the Perfect Park Crossbody bag when we had a trip to a pretty famous theme park planned. 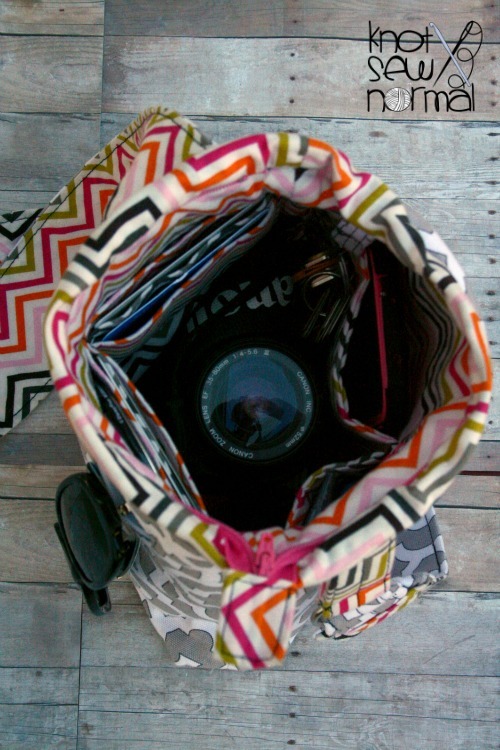 This bag is perfect for any day trip out. My kids are old enough that I don't have to haul tons of stuff around now, and I wanted to make sure that what I did carry into the park was streamlined and easy to find. My other requirement was that I wanted to be able to fit my DSLR camera in it, while also keeping the bag on the smaller size. I squeezed all that into this bag and a few other extras. This bag is a compact size at 9.5" tall and 9" wide, however the boxed bottom and open wide zipper top give you plenty of room. The exterior of the bag features a cargo pocket on one side and a zipper pocket on the other side. 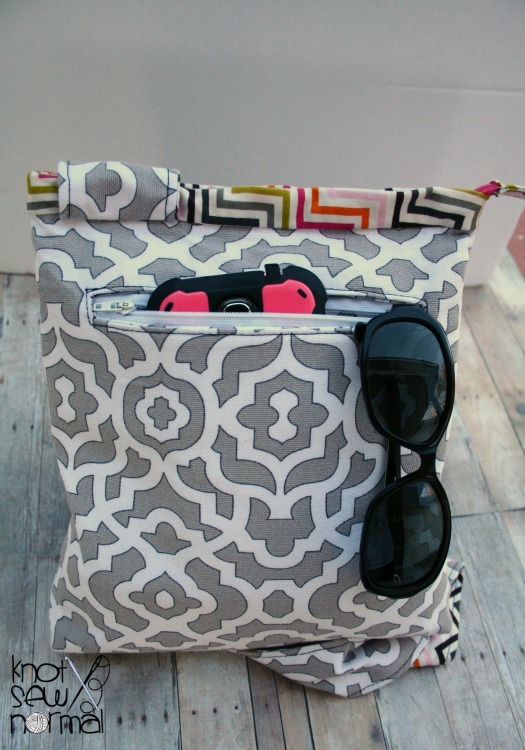 These pockets make it easy to store your phone, sunglasses and any other things you need quick access to. 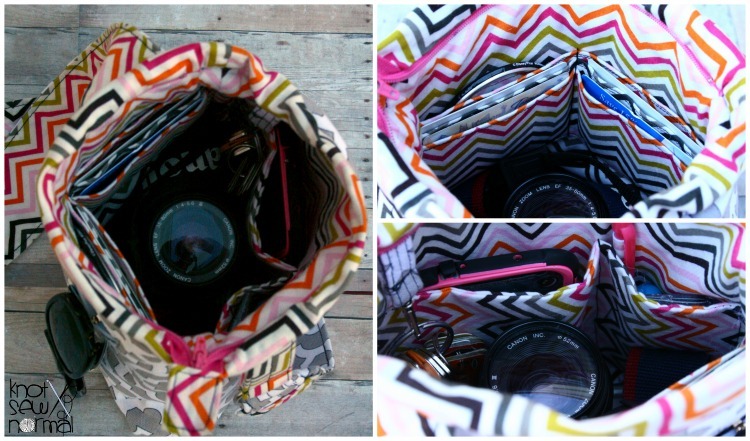 The interior of the bag makes it easy to carry your essentials. 6 slots for your ID and credit cards on one side eliminates the need for a wallet. There is also a key fob to make it easy to access your keys when your hands are full. The large interior pocket measuring 7.75" wide x 6.75" tall can be left open as one big pocket or sectioned into smaller pockets for whatever your needs are. 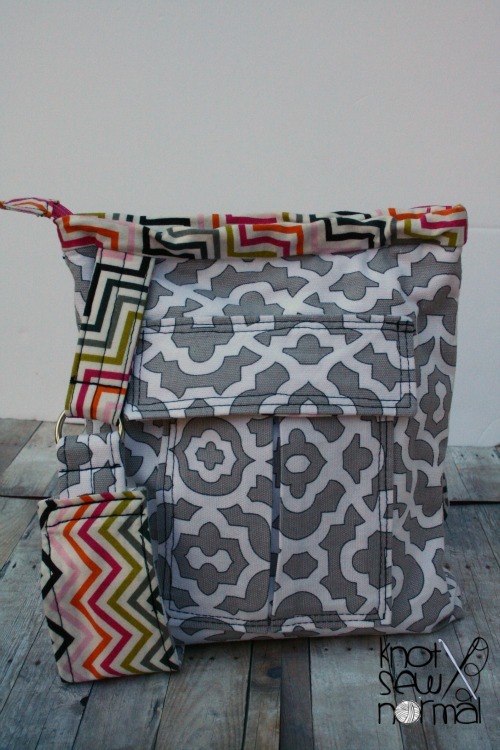 This pattern also features 2 different strap options to make it the perfect bag for you. You can pick a slimmer adjustable strap, or a wider non-adjustable strap. Loving all those inside pockets! Oh I love this! (and my favorite vacation spot is always Yosemite. Favourite holiday spot is a tiny island off the west coast of Ireland!